any chance we could ever see this line made? Funko could be the 1st to actually make all 9 Warriors from the movie. and with all the other gangs and what not this would be cool line! Sawn, Ajax, Sirus, Baseball furies, etc! Re: The Warriors Reaction figures! Don't own any ReActions but I would buy those. I'm almost certain that Reis already said there are no plans for these yet. Yeah, sorry. No plans for Warriors. There's a guy out there offering bootleg/customs, though. Forget his name, but they're pretty well done. I had to go and make a Furie and Ajax pop! customs. Ensembles are a catch 22. Funko can't go all-in because they don't know how they'll move and likewise, fans can't fully commit because they don't know if we're going to get everyone made. I feel The Warriors largely falls into this same category. We've seen similar issues with Goonies, Buffy, Star Trek, etc. already. That being said, I'd be content with Swan, Luther, Cochise and Ajax. Maybe get us Cleon and Cyrus or Masai. I would have picked up the Mezco figures awhile back had I known we weren't ever getting more Warriors figures. I just wasn't a big fan of the cartoonish approach Mezco took on those figures at the time. ReisOBrien wrote: Yeah, sorry. No plans for Warriors. There's a guy out there offering bootleg/customs, though. Forget his name, but they're pretty well done. please reconsider. make the 1st line ALL 9 Warriors and it'd prob take off pretty fast. no one has made all 9 guys yet. then a 2nd set w/ Baseball fury, Cirus, Luther, Mercy, etc! awh man these are going to be epic! 40th Anniversary of the movie is next year! 1979-2019 PERFECT time to do this set! check ebay, Warriors everything still sells like hotcakes. Again, make all 9 Warriors for 1st set! What turns people off is like what punksnotdead said, people are hesitant not knowing if there will be another series and if we can "collect" them or its another incomplete one-off series. other companies didnt follow thru with it and split the 1st series up and never did a second! thats why you do all 9 Warriors to start. then we have a collectable set right off the bat. people hunting for the tougher ones to find out of the set. and when the 1st set takes off well, then you do one more set to follow. fans will be pumped by then waiting and wondering which gang will be coming out next. then we finally have a great full series of Warrios figs to collect! I totally love Reaction figures over Pops too. I only collect Pops cos the line is so wide and varied and they do a lot of 80s tv stuff. But as toys go, I always prefer a 3'34" . But back to the Warriors... yes I'd love to see these as Reaction figures. All those cool gangs and variants. I may need to re-watch the movie now! They've just added "The Warriors" to Netflix. 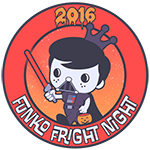 I always feel Funko and Netflix have ties, so this could be a good sign. I definitely prefer Reaction figures than Pops for The Warriors. It just feels better. Manclad wrote: They've just added "The Warriors" to Netflix. I always feel Funko and Netflix have ties, so this could be a good sign. I definitely prefer Reaction figures than Pops for The Warriors. It just feels better. Well, if you want Reaction figures, gotta hit up Super7 for that seems more up their alley anyways. They really kill it with the retro style figures. 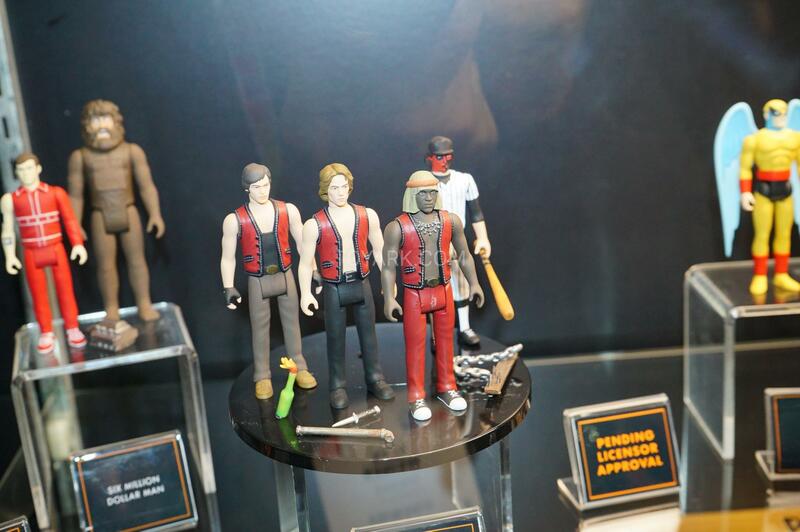 Mezco have showcased their 3'3/4" The Warriors figures at NY Toy Fair! They look pretty amazing! Last edited by Manclad on Tue Feb 19, 2019 1:20 am, edited 1 time in total. Warriors for sure! Need those ASAP! maybe not greatest looking but ill take em! ReAction figures are meant to mimic vintage late 70s Star Wars Kenner figures - they've probably sculpted a bit more detail in for these. I'm more than happy with how they've turned out.